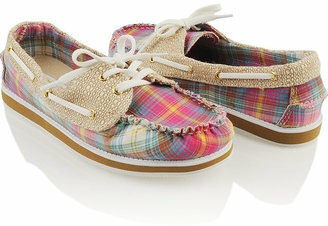 If you're into the whole preppy-college-student vibe embodied by Sperrys shoes, then you'll probably want the real deal. 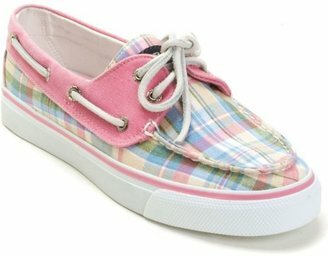 These Sperry Top-Sider "Bahama" Boat Shoes go for $60 at Macys.com and come in a wide variety of bougie color combos such as Pink Madras, Nantucket Red Sailboats and Chino/Oyster. If you merely want to play the part of a prepster for a season, then check out these beauties from Forever 21. Their Mariner Boat Shoes, available in either tan/pink or tan/purple, will suit all your nautical needs for the affordable price of $18.80. Super! oh my gosh those are too cute...they'd be perfect with a white dress for spring! Cute! I just got purple suede boat shoes from ASOS - but I actually go boating lol. And now I'm thinking suede may not be the most practical material for nautical activities lol.